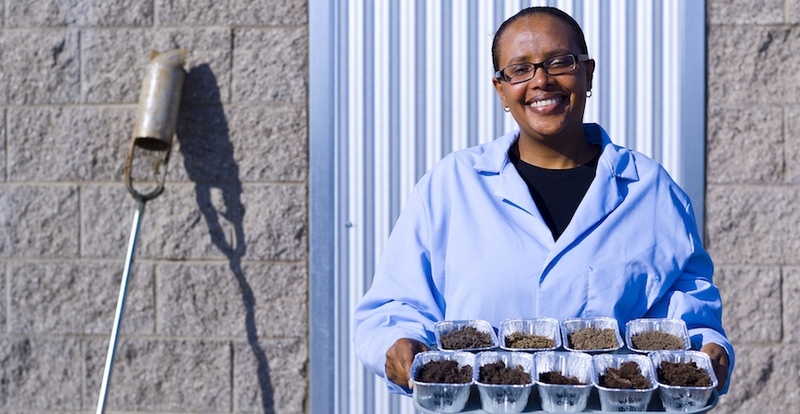 Professor Asmeret Asefaw Berhe is a biogeochemist who studies the impact of climate change on Sierra Nevada soils. She’s also active in efforts to recruit and retain women in science, technology, engineering and math (STEM). Those efforts were recently bolstered by funding from the National Science Foundation (NSF). Berhe is part of a team that was just awarded a four-year, $1.1 million ADVANCE grant to develop new strategies to combat the lingering and pervasive issue of sexual and gender-based harassment in the earth sciences. Specifically, Berhe will work with a team led by Professor Erika Marín-Spiotta of the University of Wisconsin, Madison, to develop training materials that empower bystanders to intervene when they observe sexual or gender-based harassment in the classroom, laboratory or field sites. “It’s such an uncomfortable situation, often with power differences involved between harassers and the victims,” she said. “When people see it occur in professional settings, often they don’t know what to do about it. When people are not equipped with the right ideas on how to intervene, they tend to ignore the situation, and at times even pretend it’s not happening. To that end, Berhe and her collaborators will devise strategies and train students, faculty and staff how to respond when they witness harassment. Berhe will convene focus groups at UC Merced and other UC campuses to test the efficacy of these strategies. The team is also engaging with professional societies and other universities across the country to help distribute and implement the materials they develop. Our proposal addresses important issues that prevent women from advancing in the earth sciences. While all STEM fields suffer from gender inequity, it’s especially problematic in the earth sciences. While women receive 39 percent of undergraduate earth science degrees, they make up only 20 percent of earth science faculty. The numbers are even lower when one considers only tenured female faculty. And, according to a survey conducted by the Earth Science Women’s Network, 51 percent of women in the earth sciences have experienced sexual harassment. Education and research opportunities in the earth sciences require frequent travel to off-campus sites, often forcing women into close proximity with perpetrators of harassment. In the earth sciences, only 5 percent of undergraduate degrees and 7 percent of tenure-track positions are awarded to women who also identify as ethnic minorities, the lowest of any STEM field. This is why Berhe also hopes the strategies developed through this project can be tailored to fight harassment experienced by other minority groups. “Eventually, the lessons learned here can be applied to other forms of discrimination,” Berhe said. Berhe’s collaborators on the NSF ADVANCE grant are an interdisciplinary group of educators, scientists and professional society members. They include Erika Marín-Spiotta of the University of Wisconsin, Madison; Billy Williams of the American Geophysical Union; Blair Schneider of the Association for Women Geoscientists; Allison Mattheis of California State University, Los Angeles; Rebecca Barnes of Colorado College; and Meredith Hastings of Brown University.